The Page loader module is designed to allow users load additional pages into their designs from an assigned source design. Add Page: This option when enabled, allows users to add new page from the source design into the main design. 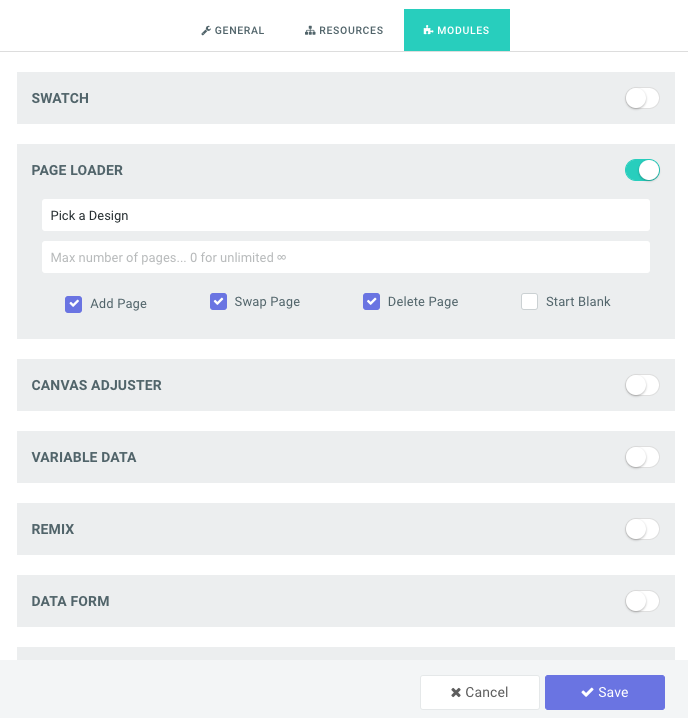 Swap Page: This option allows the users to swap their existing page with a new one from the source design. This is how the module appears in your designer with all the options enabled..